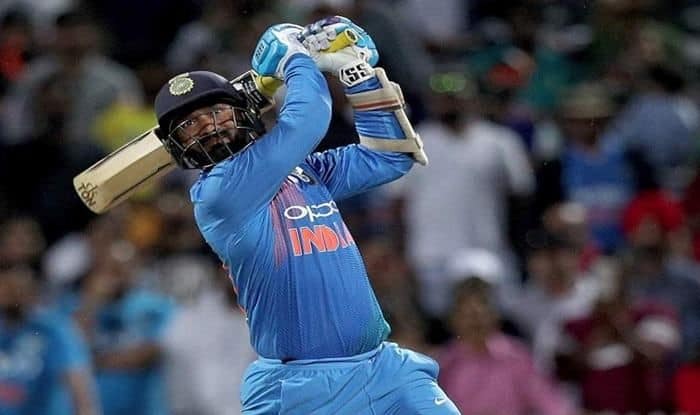 The Board of Control for Cricket in India (BCCI) on Monday announced Team India’s 15-member squad for the forthcoming ICC World Cup 2019 and wicketkeeper-batsman Dinesh Karthik, who pipped youngster Rishabh Pant, said it was a dream come true to be a part of the team. Karthik Monday returned to India’s World Cup squad after 12 years, trumping Mahendra Singh Dhoni’s heir apparent Pant in a selection move that will be debated for a long time. The batsmen feature captain Virat Kohli, who currently tops the ICC batting rankings followed by second-ranked Rohit Sharma and his co-opener Shikhar Dhawan who is also among the top 15. As expected, former Indian skipper MS Dhoni is a part of the England-bound squad. With the number four spot sparking most debates on its contention, it will be Vijay Shankar or KL Rahul who will be taking the place. On number five will be Kedar Jhadav. India’s World Cup Squad: Virat Kohli (Capt), Rohit Sharma (vc), Shikhar Dhawan, KL Rahul, Vijay Shankar, MSD (wk), Kedar Jadhav, Dinesh Karthik, Yuzvendra Chahal, Kuldeep Yadav, Bhuvneshwar Kumar, Jasprit Bumrah, Hardik Pandya, Ravindra Jadeja, Mohd Shami.